Below is an example of a working SIP trunk from Broadvox. We were not provided with DIDs so we were not able to test that inbound calls via DID are routing separately, but inbound and outbound calls do work in general. 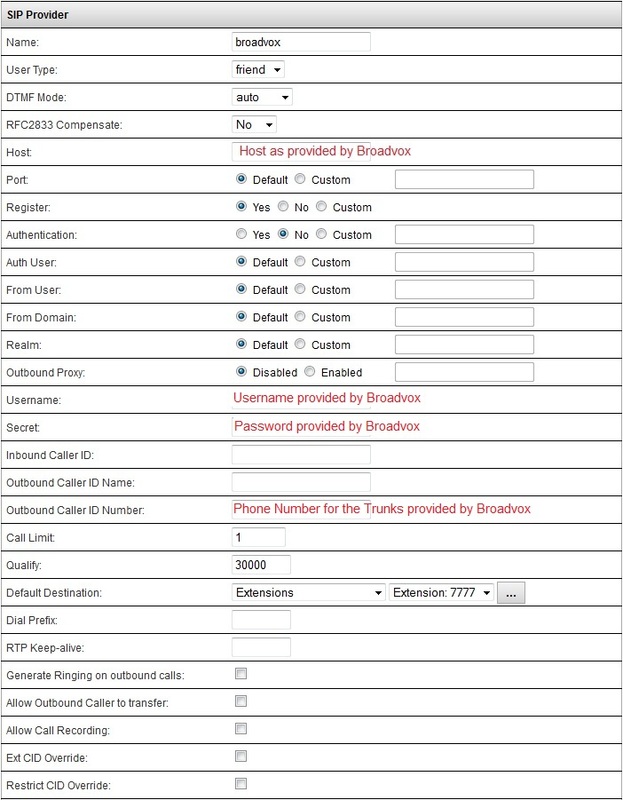 Check with Broadvox for the correct DTMF method if you have issues using Auto.